Wwe can help chart a course for lifelong learning and improvement. At Apex we pride ourselves on being able to deliver helpful and accurate information in the most efficient way possible. Our technology allows us diagnose and attend to issues in your golf game in a shorter amount of time than traditional golf lessons. 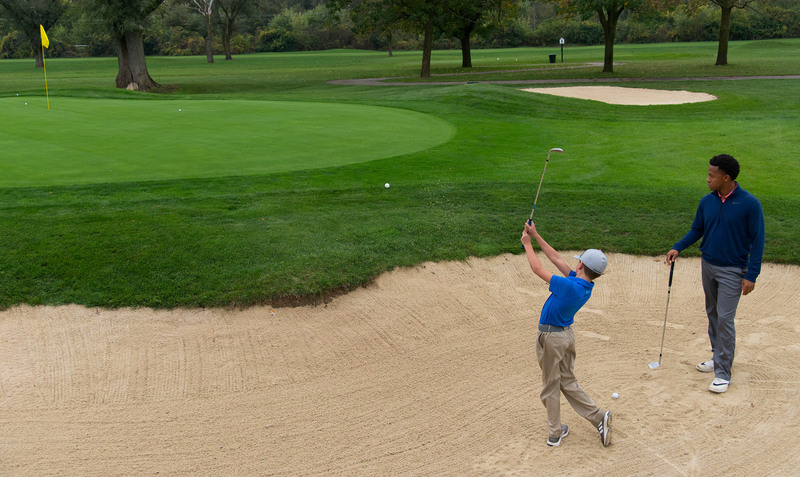 We strongly believe in our 30 Minute Lessons for golfers of all skill levels. Swing Video Analysis, Trackman Analysis. In one hour, we are able to dive deep into swing faults and fixes, as well as address multiple issues plaguing your game. In that time span, we will identify necessary changes and begin to apply them to on-course situations. This combination allows for training that will readily transfer to the course. The one hour lesson is best suited for the single digit handicap player. Swing Video Analysis, RoboGolfPro Swing Adjustment, Trackman Analysis and Training. As one of three midwestern facilities to use RoboGolfPro, Apex can help you change your swing at rates previously unheard of in traditional golf instruction. We will use a swing video analysis to advise the type of swing adjustments we build for you on our RoboGolfPro. This groundbreaking piece of technology allows us to create the exact feeling that we'd like to change in your swing. Swing Video Analysis, RoboGolfPro Swing Adjustment and Training, Trackman Analysis. Our Winter Program is designed with significant and noticeable improvement in mind. 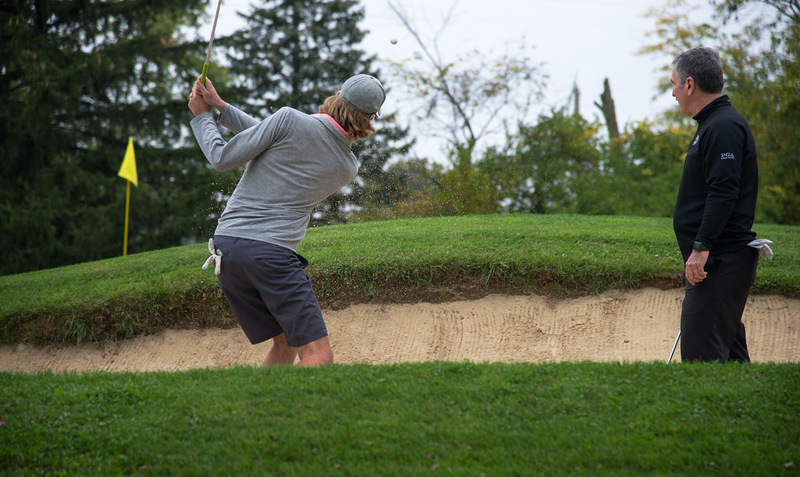 The offseason lends golfers the opportunity to make difficult swing changes, improve the overall 'golf health' of their body, target areas that consistently hurt their scores, or all of the above. It is our intention to develop a strategy that addresses the most significant areas for you. *Note: The recommended usage is regimenting the practice sessions and lessons evenly throughout the month. However, Apex will be flexible in scheduling you around travel and holidays. This is a 6 month program commitment. 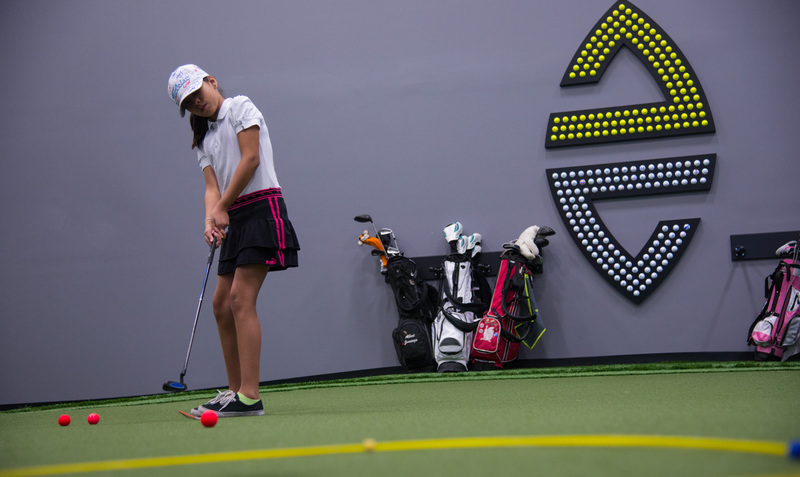 The journey program is designed to keep your game sharp and improving, all year round. Each month, we will use your private lesson to analyze and assess areas of improvement for your game, whether it be swing mechanics, short game, distance control, driving accuracy, etc. During your allotted training time, you'll be able to complete the necessary reps to cement change your motor patterns and develop new skill. Apex Golf Lab is pleased to offer fully customizable corporate packages, in addition to individual programs. Ideal for team building, incentives or company retreats, our Enterprise Program is a positive, enriching experience that everyone can enjoy.